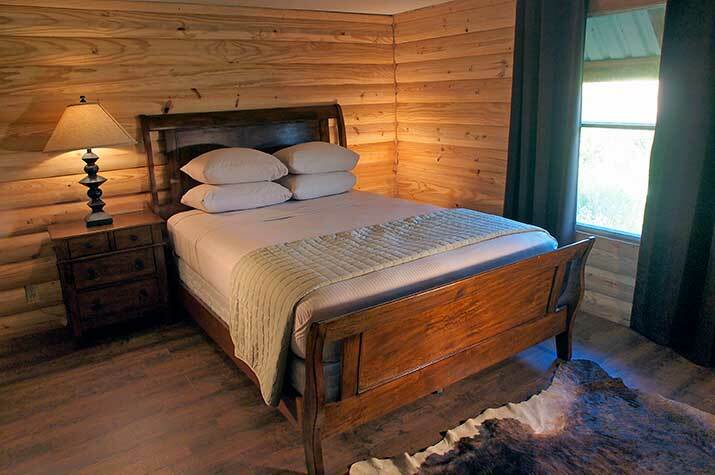 This cabin at our Texas bed and breakfast is perfectly located to watch the stars in the evening from the front porch, located in a pastoral setting. 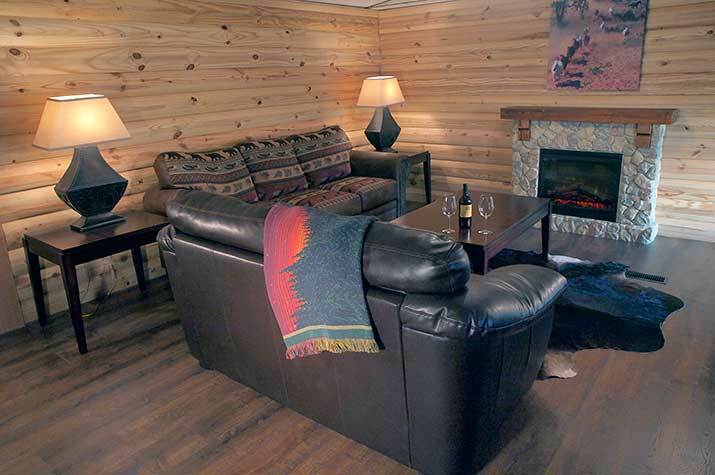 Two bedrooms, both furnished with queen beds and master has jacuzzi in bathroom; two-bath, living room with electric fireplace and sleeper sofa, dining area, fully-stocked kitchen with fridge, stove/oven, microwave/toaster/coffeemaker; dishes/silverware/glassware/pots/pans. 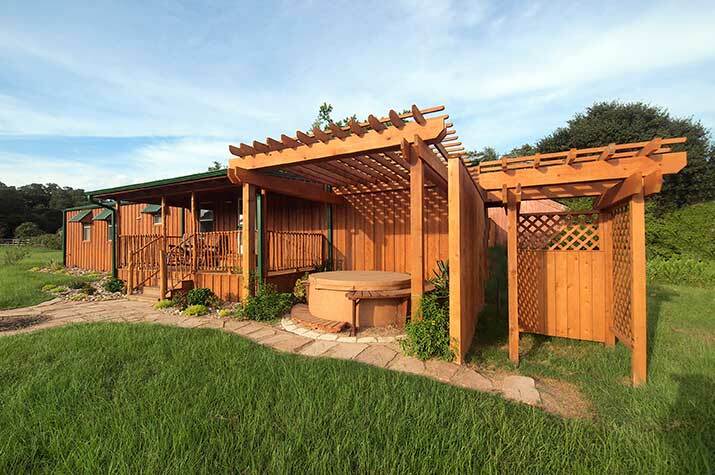 Outdoors features a private hot tub for two and outdoor shower. Added bonus is a private firepit and gas grill.